Welcome to Lent. I am going to blog once a day this whole Lenten season, just to share reflections and insights. I am a few hours late for the first day, but there is a flu bug going around the house and Des and I have got it. I went to the Project Agos brainstorming for YesPinoy at the new LLDA Green Building along East Avenue. 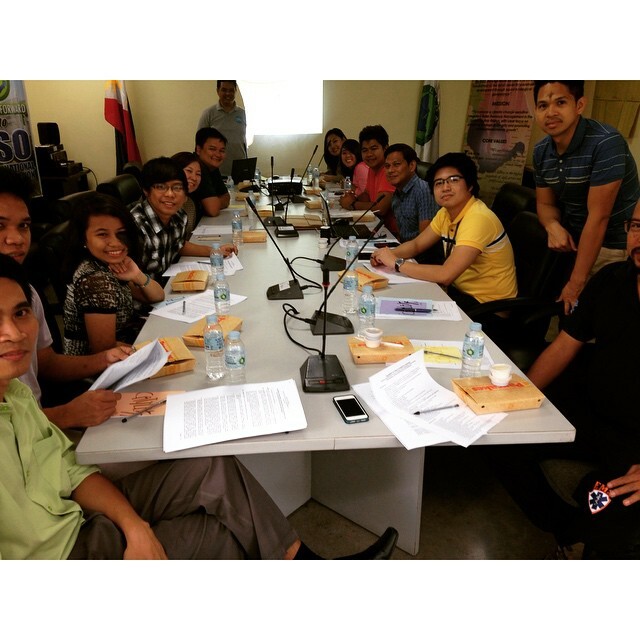 YesPinoy is a partner of Project Agos with Rappler, NYC, Pasay Youth Development Council and PBSP. It was facilitated very nicely by CHSI, though half the time I had to move away from the table because the air-conditioning was pointed straight at my head. That probably didn’t help my flu-symptoms. Aside: I always wondered about moving to a country that has 4 seasons. Wearing thick jackets, playing in the snow. But in reality, I can’t really handle the cold. I get sick too often when it gets too cold. Cold weather: nice to visit it, but I am made for the tropical heat. But, we fail to realize that the only way to have a happy heart is to constantly yearn for God. He is the only one who can fill that deep ache in our hearts for happiness. People do not realize that and end up doing stupid things, when it is actually quite simple. Your heart will be happy if you look at Jesus and follow His example. Simple, yet hard to do. So we must choose to do that everyday, no matter what circumstances we find ourselves in. I know what makes my heart happy, though sometimes in the “busy-ness” of everything, we can lose focus. Good thing that there are reminders in the oddest of places which show us the way back to the truth. Previous Pope Francis, you ROCK! Thank you for setting our hearts aflame!